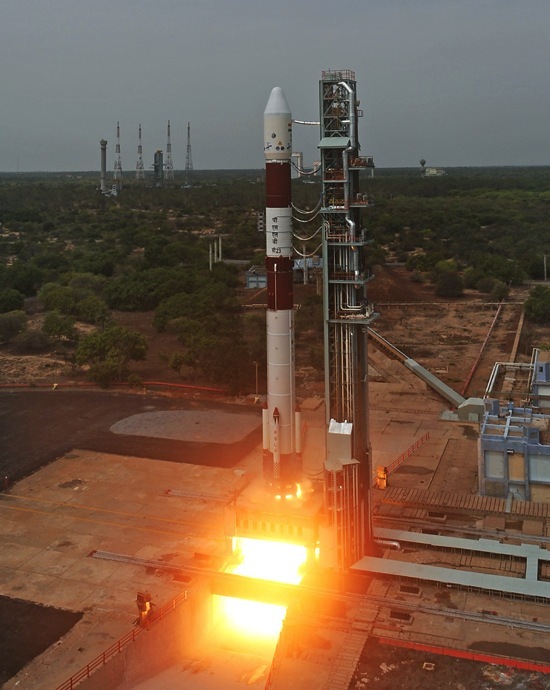 A commercial imaging satellite blasted off on top of an Indian rocket Monday, reaching orbit a few minutes later to punctuate the deployment of a fleet of French spacecraft designed to monitor Earth with regularity and precision. Carrying a sharp-eyed camera able to resolve objects on the ground as small as cars, the Spot 7 satellite joins an identical craft launched in 2012 to collect daily imagery of any point on the globe. 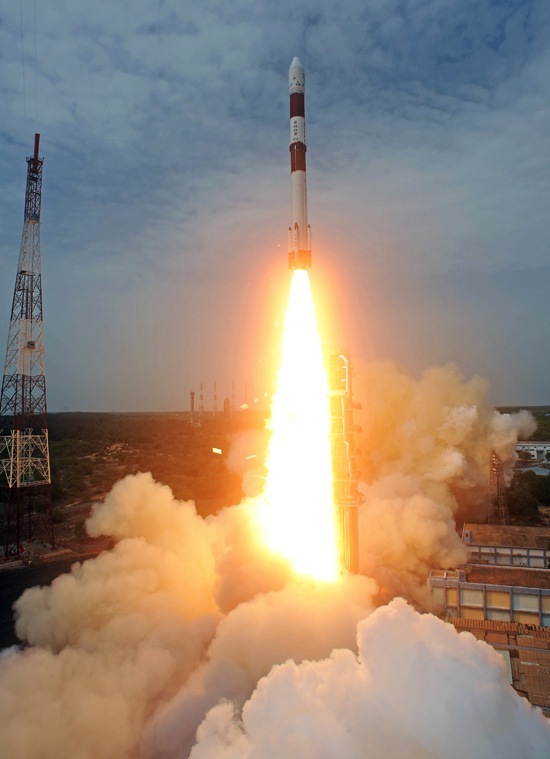 The spacecraft lifted off on top of a 14-story Polar Satellite Launch Vehicle at 0422 GMT (12:22 a.m. EDT) from the Satish Dhawan Space Center on India's east coast. The four-stage rocket released the 1,574-pound satellite in orbit less than 18 minutes later. 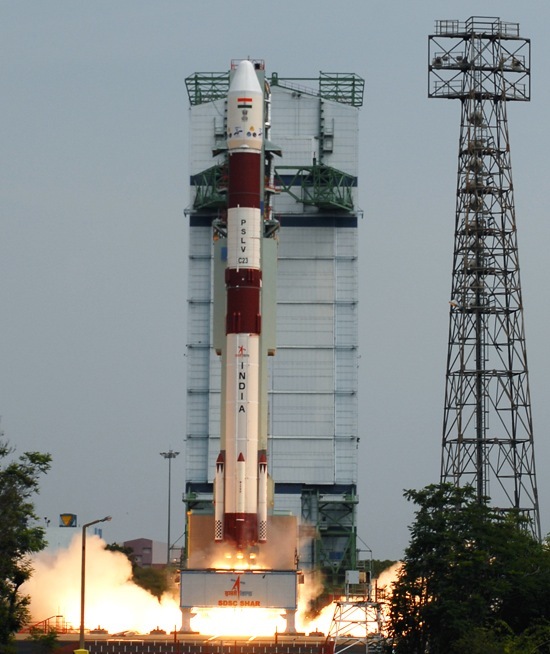 Four small co-passengers deployed from the PSLV's fourth stage moments later, beginning experimental missions for organizations in Germany, Canada and Singapore. 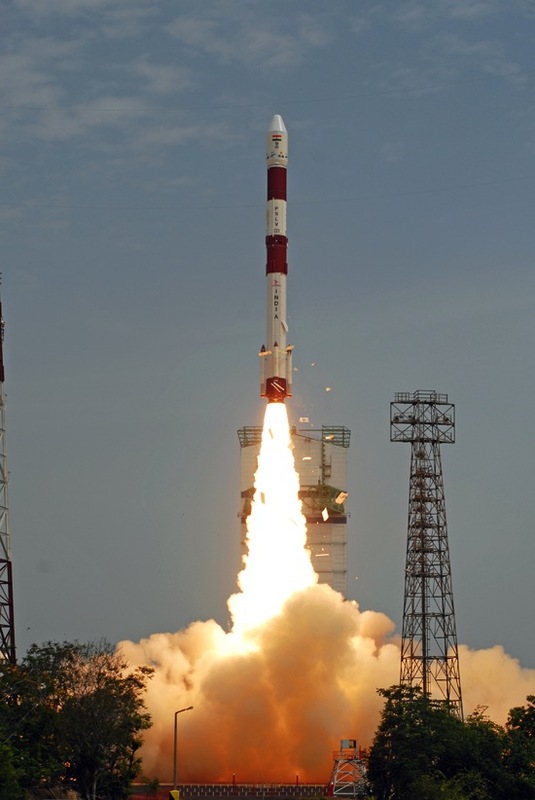 The Indian Space Research Organization declared the launch a success.